A very big thank you to those who supported my charity auctions this year. Both bears have now found loving homes in the USA. The total raised was over £115, again, thank you very much. You are so kind and generous. 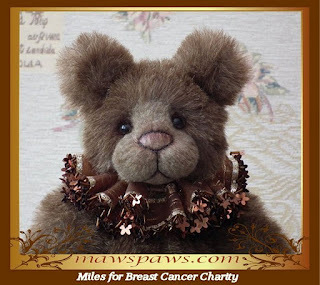 A BIG thank you to Deb who adopted Miles on Ebay and raised over £89 for the Charity. Morgan, who is now on Ebay, finishes on Sunday, I hope she finds a lovely new home. 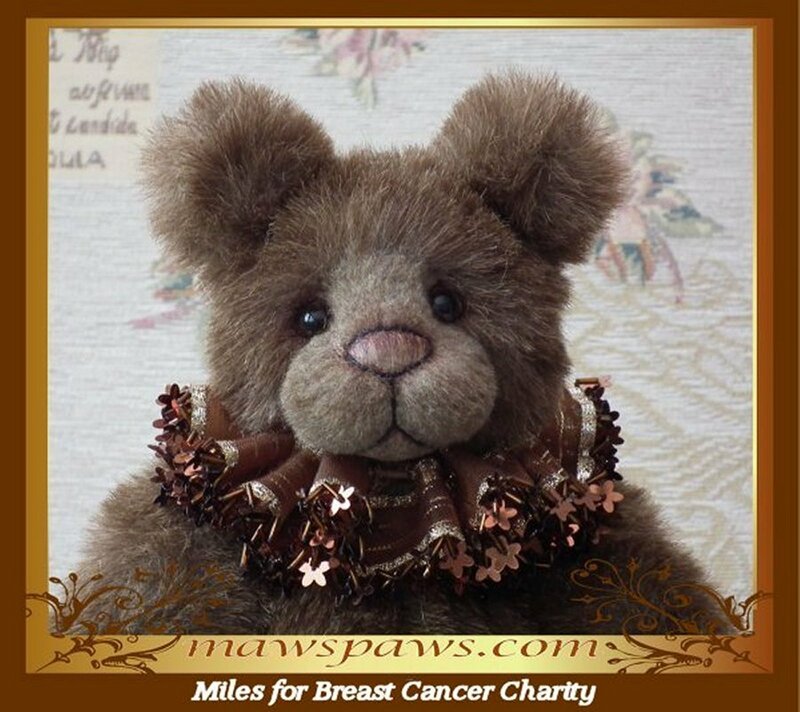 Miles is now Ebay, as my Breats Cancer Charity bear.